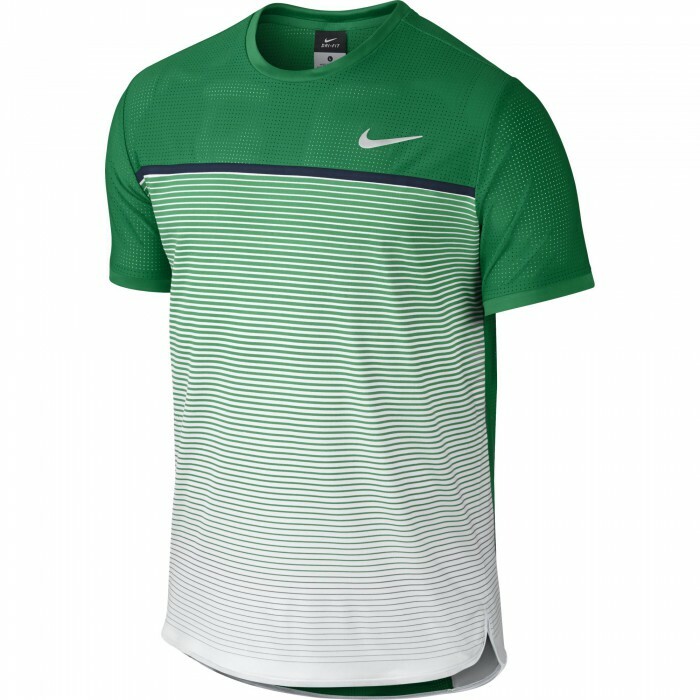 Мужская теннисная футболка Nike Challenger Premier Rafa Crew features features Nike AeroReact technology which uses special fibers that open when you sweat to help keep you cool and comfortable during your match. 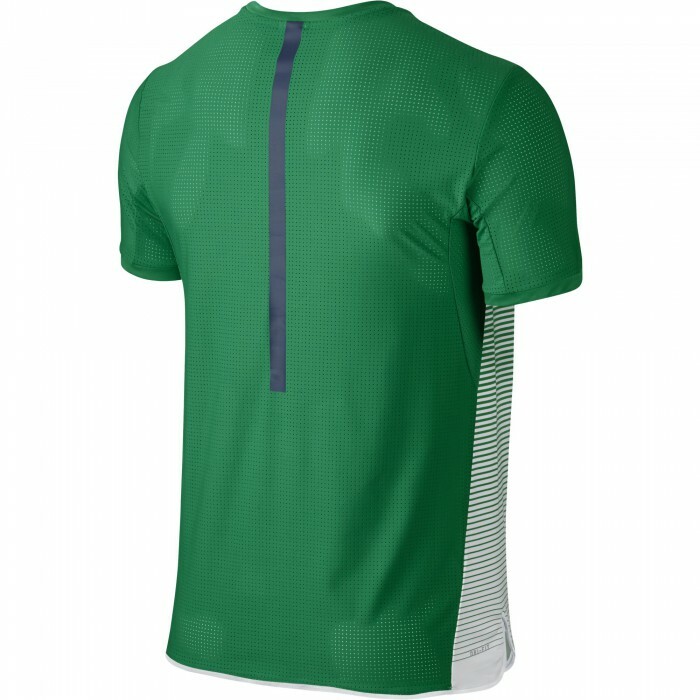 Nike AeroReact technology helps you maintain an optimal temperature. Mobility gusset in the underarm lets you move naturally. Rafa's bull logo is heat transferred on the right sleeve. Slim fit limits distractions and provides a modern aesthetic.